Menstrual cramps and pain are some of the most uncomfortable time of your monthly periods. The pain that accompanies the period not only causes PMS (yes, it’s pretty real) but it can also make a person feel bloated and tired. Even though the easiest way out of it to pop a pill, it is often recommended to avoid this practice as taking too much medication has its own set of side effects. So how do we stop it? How do we make the pain go away? 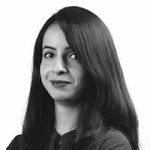 How do we ensure that we are on the top of our game even in ‘those days’? Well, the answer is pretty simple– by making a few dietary changes! 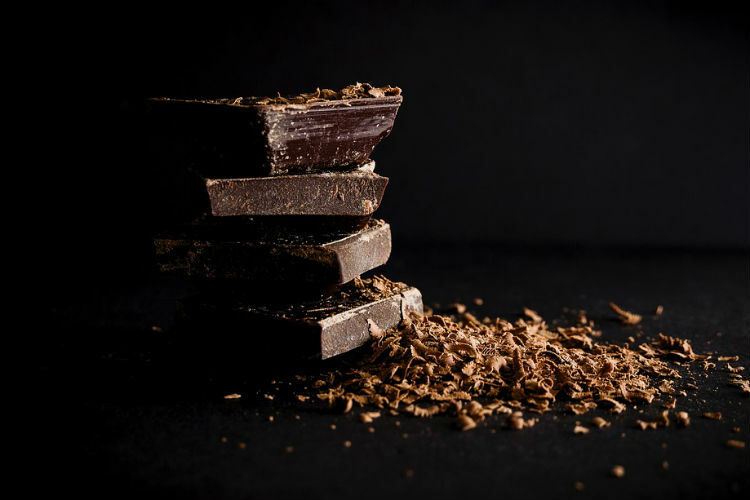 Studies have shown the magical impact of eating dark chocolate. It’s not only good for your brain but also for your period pain and the best part about it is that it has lower sugar content making it an ideal pick for the ones who are following a strict diet. 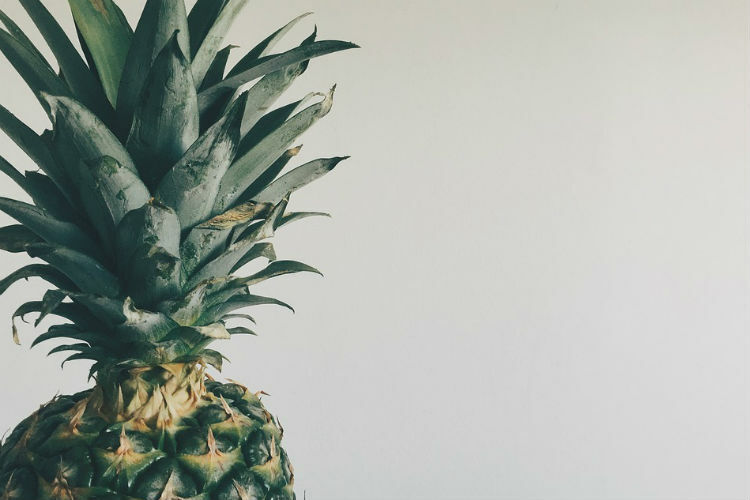 Pineapple is a fruit that is loaded with vitamins and mineral. Drink pineapple juice or eat it plain, the fruit is a miracle cure that not only eases cramping but also makes you feel happy! 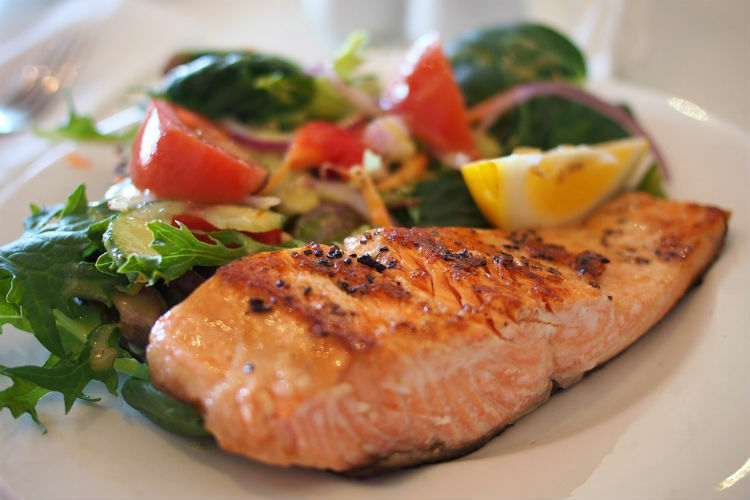 Salmon is full of Omega 3 fatty acids and Vitamin D. Studies have shown that consuming a diet rich in omega 3 acids not only reduce PMS but also help in easing cramping and pain. 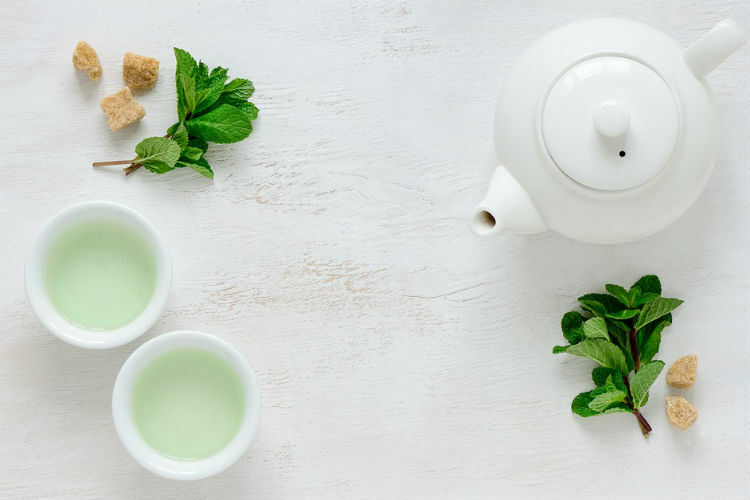 Herbal tea is one of the excellent ways of easing period pain. A cup of warm chamomile tea or peppermint tea is all you need for an easy peasy day. They are full of fiber and potassium. They not only help to deal with cramps and pain but also reduce bloating. 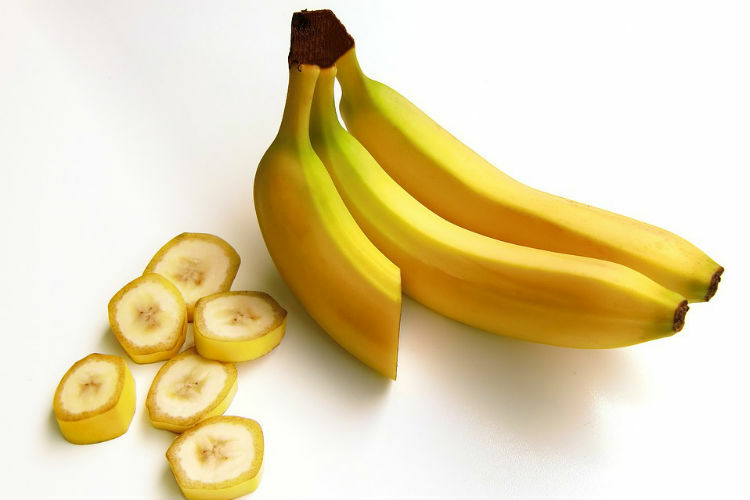 They also contain Vitamin B6, which helps in strengthening the nervous system. 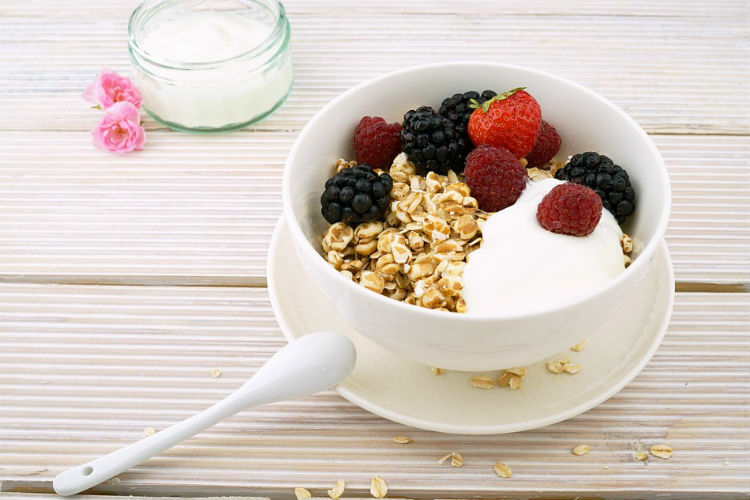 If you want a power-packed breakfast that keeps you active all day, yogurt is your go to the food item. Interestingly, the food is high in calcium and it not only helps in easing menstrual cramps but also keeps your gut healthy and clean. 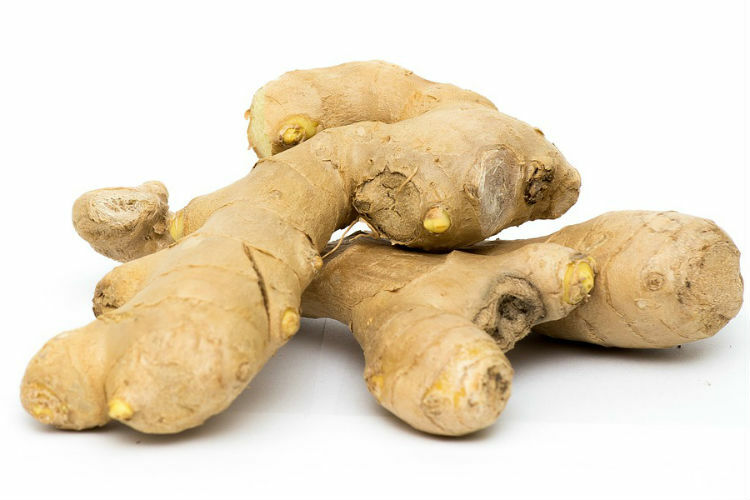 Ginger is a spice loaded with ingredients that help you stay healthy and fit. Take it in the form of ginger power or replace your regular tea with ginger tea, it relieves cramping almost instantaneously. 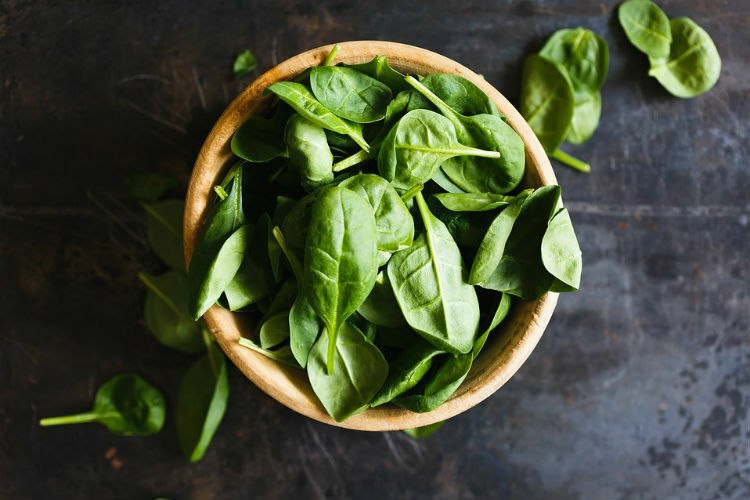 Everyone knows that green leafy vegetables like spinach and broccoli are good for health thanks to the presence of iron, vitamins A, C, E, and potassium. But do you know they also contain magnesium, which helps to prevent cramping? If you didn’t like spinach till now, you better start liking it now! 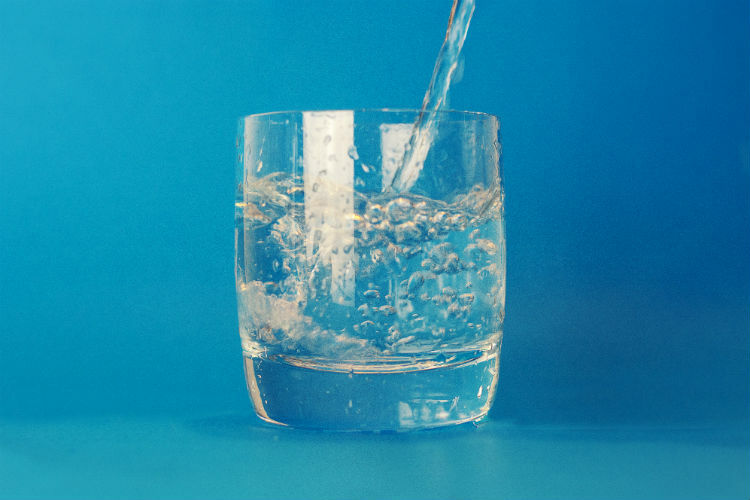 One of the best (and the easiest) ways to get rid of bloating and get cramping down is water. It will not only keep your troubles at bay but also flush out all the toxins. 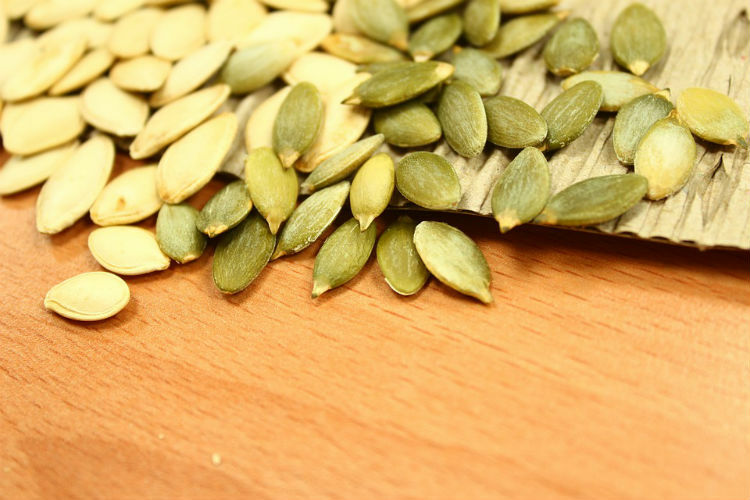 These tiny seeds are the store houses of minerals like zinc and manganese, which help in relaxing the muscles. Want to snack on something light? Switch to pumpkin seeds. 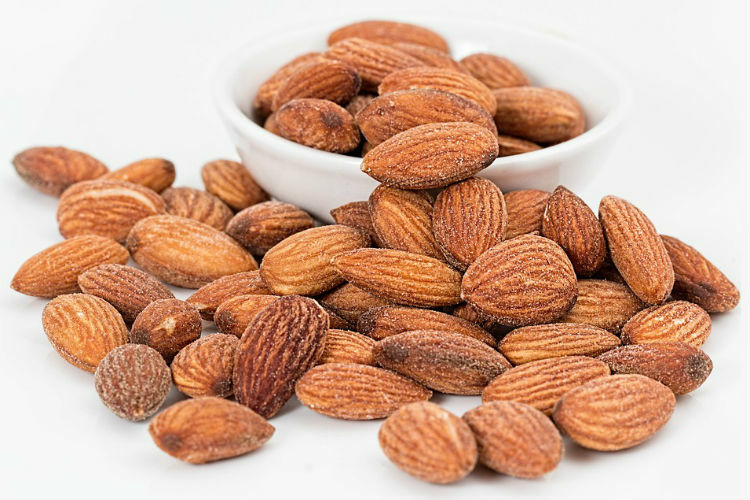 Nuts like almonds and walnuts are one of the best sources of Vitamin E and magnesium. They not only help you to beat cramps but also make a healthy snack.